Lewis Hamilton has been given permission by race organisers to don the #1 on his Mercedes livery for this weekend's Abu Dhabi Grand Prix at Yas Marina. It will be the first time the number has featured in a race since Sebastian Vettel used it in 2014 as champion. Usually, the #1 is reserved for champion drivers, while Hamilton has previously ditched that tradition in favour of his #44 which he has had throughout his career. Hamilton's official number for the race has been confirmed as #44, but Mercedes have said that he asked permission for the #1 to make a return, with his wish subsequently being granted. “It is car 44 on the entry list and timing screens and races under this number - the number is still present on the engine cover,” the Silver Arrows confirmed. 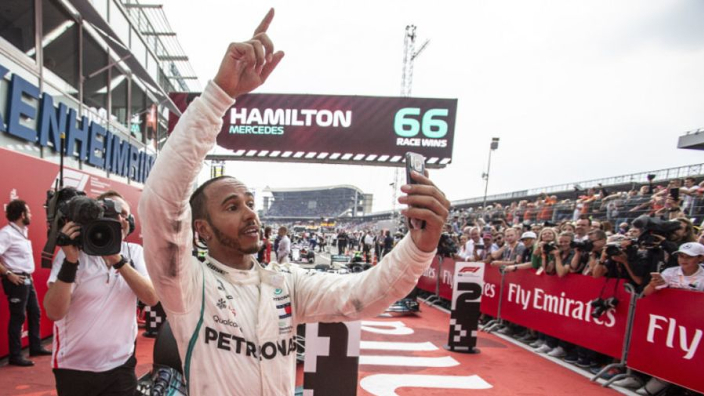 Hamilton has already secured the 2018 Formula 1 championship, taking his tally to five, after securing enough points at the Mexican Grand Prix last month.